What would we be without our Moms? They raised us, fed us, clothed us, disciplined us (sometimes quite the feat), smiled with us, cried over us… and we know they rarely got the credit they deserved for all the work they put into raising us. 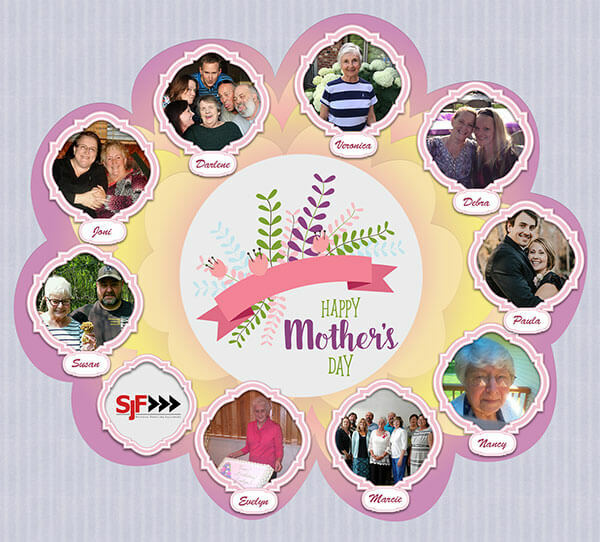 This time, in particular, we want to say a big thank you to our Moms – the Moms of SJF Employees. Happy Mother’s Day to the Moms of our SJF employees! For Mother’s Day we wanted show off these amazing women – our very own Moms. Without them, we wouldn’t be who we are today!